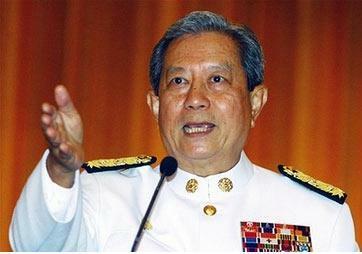 Surayud Chulanont, 24th Prime Minister of Thailand was born on 28th August 1943. As per Vedic Astrology method, his Surya Kundli is of Leo Ascendant - with Sun and retrograde Venus in the Ascendant itself. Ganesha notes that Sun is very powerful in his horoscope, which ought to lead him to a good position on the career front. In later part of 1998, when transiting Jupiter was retrograde, aspecting his Natal Venus, which too is retrograde, and is Lord of 10th house in his Surya Kundli - he was promoted as Army Commander. In August 2007, Surayud's Mars return is happening in Taurus. He may become strict and disciplinarian for everyone working under him, this time around. He might have to act like a Commander-in-Chief in August to control worst situation. Still, this may not last long as Saturn and Rahu both are approaching his Natal Sun. Ganesha notes that Rahu's transit has always played major role in Surayud's life. Rahu - North Node or Dragon's Head is responsible for 'sudden or unexpected events'. It also has great influence on politics. Currently, transiting Rahu is passing through Aquarius at 16 degree, likely to form exact opposition to Surayud's Natal Sun in October 2007. While this negative planetary picture is formed, Ganesha also finds transiting Saturn crossing over Surayud's Natal Sun. Sun signifies power, authority and glory acquired through position whereas Rahu and Saturn are Paap Graha - Natural malefic planets. Saturn slows down processes and Rahu brings in sudden ups and downs in career when it passes over Luminaries (Sun or Moon). Ganesha feels that Prime Minister will be loaded with anxiety and worries in the month of October and November 2007. He will have to tough it out against odds to maintain his position. His authority or power may be at stake from here onwards. Surayud Chulanont assumed office on 1 October 2006. On that day, Venus which is Karma Bhuvan Lord of Surya Kundli in his horoscope was debilitated, and hence weak and combust also. Similarly, Mars which is in Taurus in his Natal horoscope was combust, thus weak. Considering all factors discussed above, Ganesha concludes that in October and November 2007 may be tough time for Thai Prime Minister. He will have to be extra careful and might also have to take diplomatic steps in order to maintain his position; between October 2007 and April 2008 he may feel some political shakes.